"Duck Dynasty" star Phil Robertson: "I will not give or back off from my path"
After sparking a media firestorm with remarks about the “sin” of homosexuality, Robertson, 67, opened up about his beliefs while leading a Bible study on Sunday at his local church in West Monroe, La. The controversy all started after Robertson was asked his definition of sinful behavior in an interview with GQ. "Start with homosexual behavior and just morph out from there…Don't be deceived. Neither the adulterers, the idolaters, the male prostitutes, the homosexual offenders, the greedy, the drunkards, the slanderers, the swindlers -- they won't inherit the kingdom of God. Don't deceive yourself. It's not right," he was quoted as saying. A&E later suspended him from the hit series. Many local fans have since expressed support for Robertson. For more on Robertson’s Bible study comments, go here. 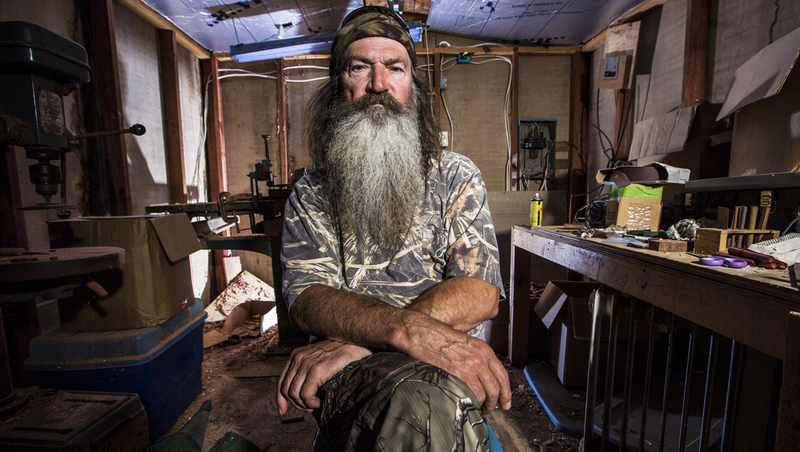 Tell us: What do you think about the “Duck Dynasty” controversy?